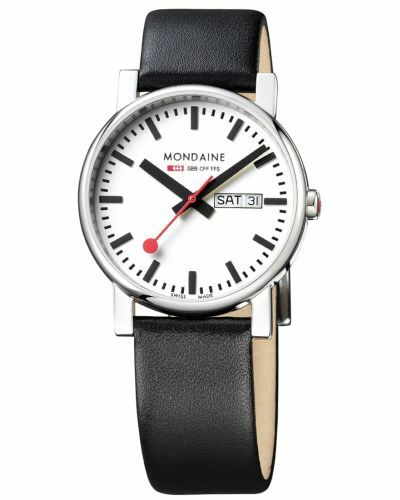 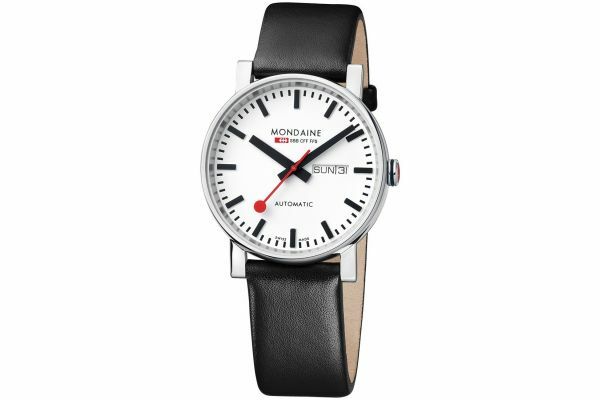 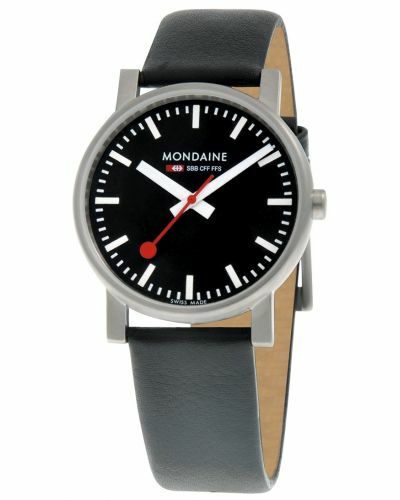 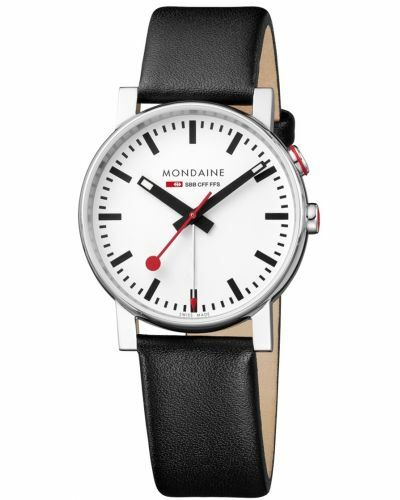 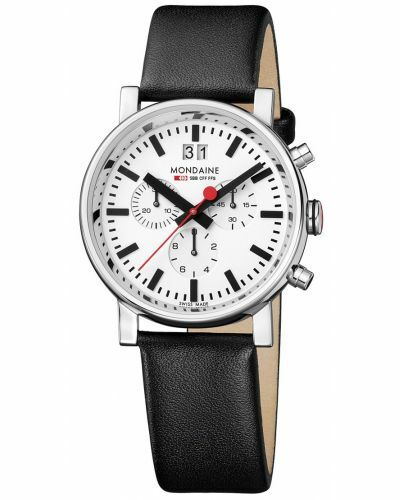 This striking men’s watch is brought to you world renowned Swiss watchmakers Mondaine; famous for the Swiss railway clocks as part of their Evo collection. 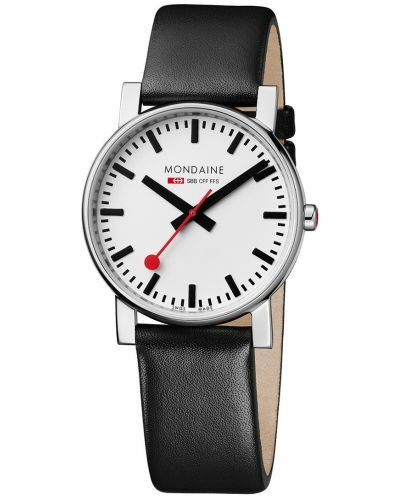 Featuring a stunning 40mm highly polished round stainless steel case and bezel in which houses a crisp white dial with bold black hour markers, thick black batons and a contrasting red second hand as seen on the clocks in Switzerland. 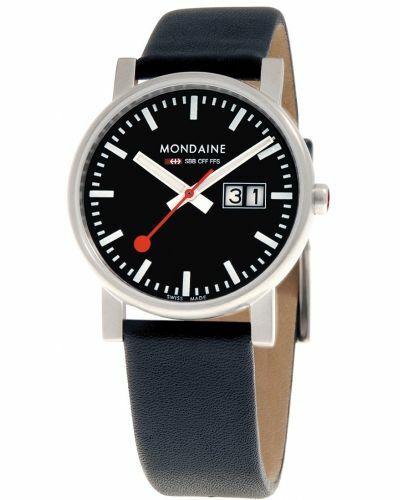 Both the day and the date are displayed on the Evo dial. 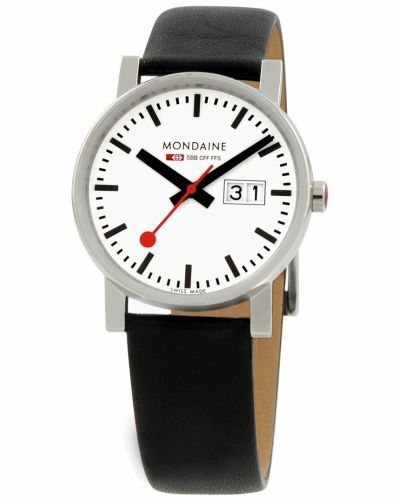 The reverse of this enthralling watch case reveals the complex Swiss made Automatic movement through a clear mineral glass case back. 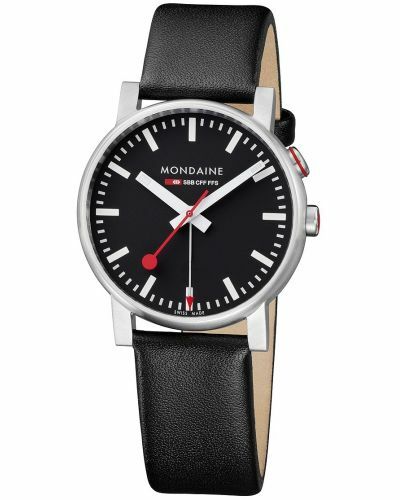 Set upon a suave genuine black leather strap and fastened with a secure stainless steel buckle; the Evo watch is a master of Swiss engineering and design. 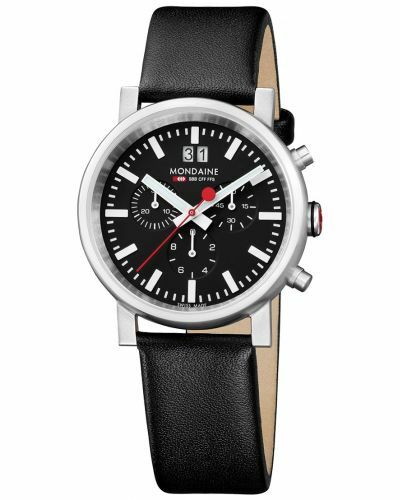 Protected by Hardened Mineral glass and powered by Swiss made automatic movement the Evo watch is water resistant up to 30 meters and comes complete with a two year guarantee. The Evo watch by Mondaine is the perfect timepiece for those whom admire the Swiss engineering and desire a statement watch. 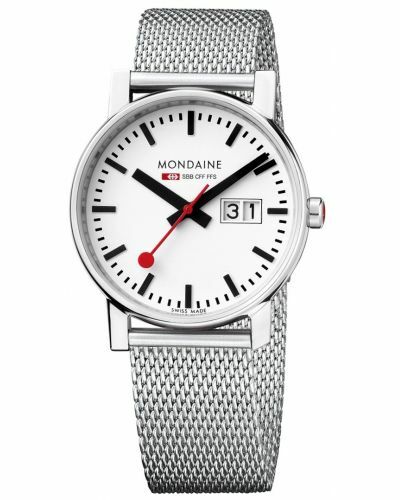 For us to size your new Mondaine Evo watch as accurately as possible, please take a look at our downloadable Watch Sizing Guide.